VPNs allow users to mask their identity online by funnelling web browsing and other internet activity through another computer – sometimes one in a different country. 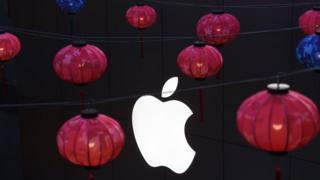 A company that analyses mobile app sales, www.aso100.com, has told the BBC that more than 60 VPNs were no longer available in Apple’s China mainland App Store. “If Apple views accessibility as a human right, we would hope Apple will likewise recognize internet access as a human right (the UN has even ruled it as such) and would choose human rights over profits,” said Golden Frog’s president Sunday Yokubaitis in a blog post. The apps are still available in Apple’s App Stores outside China. In January, China’s Ministry of Industry and Information Technology announced that all developers offering VPNs must obtain a license from the government. And Apple said it was required to remove some VPN apps from its store because they didn’t comply with those regulations. But it is fair to say that Apple has many reasons to be wary of incurring Beijing’s wrath. And with low cost local competitors cutting into the iPhone’s market share, Apple’s profits are more likely to depend on apps and services, some of which could run into China’s censorship regime. Although Apple said it would retain the encryption keys and would not compromise users’ privacy, some experts have suggested that housing data in China could create pressure for Apple to hand over data in future disputes.